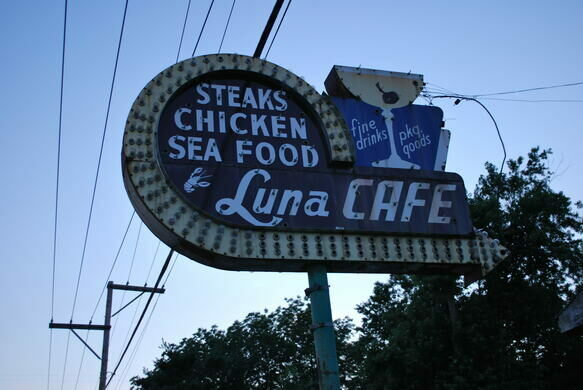 Now one of the few Route 66 eateries that remains open to the public, the Luna Café adds a dirty, criminal twist to the route’s history. Rumor has it there was a secret gambling operation in the café’s basement. But if you were looking for some more risqué excitement, the upstairs was the place to go. According to local legend, men dining at the café would eagerly wait for the red cherry on the neon sign to light up. Once it did, the local ladies would come out to provide “entertainment” for the men. But that’s just the tip of the iceberg when it comes to the scandalous nature of the Luna Café. The café’s greatest attribute is its historic tie to Al Capone. 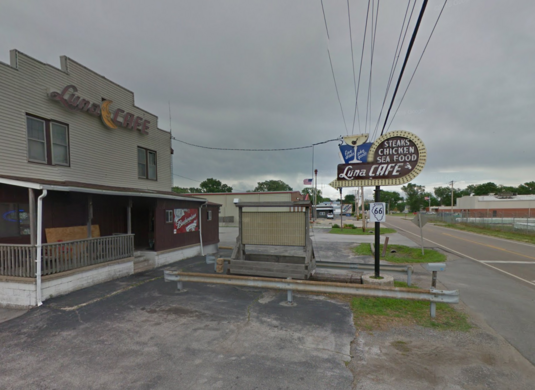 The notorious gangster used to drive down Route 66 from Chicago to the Luna Café to pay a visit to the haunt of some of the area’s mobsters. 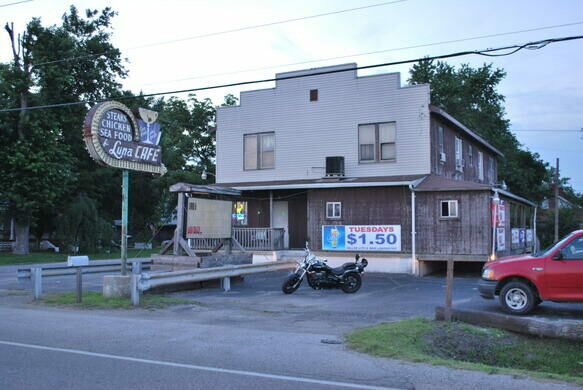 The café grew to be one of Capone’s favorite hangouts. As of today, the giant neon moon that used to be mounted atop the roof has been taken down, but the vintage neon sign and the infamous backstory remain for those who decide to get their kicks on Route 66. Fresh wooden posts have been added to ancient holes to recreate a primitivein henge clock. Dubbed the "Blade Runner dragon," this buzzing neon sign is a beloved local icon.